Portuguese speakers in London are hosting an afternoon reception to improve links with Greater London Authority. A reception will take place on 12 February. Deputy Mayor Richard Barnes will meet members of communities of Portuguese speakers settle in the capital. Portuguese speakers include those from the various Portuguese ex-colonies in Latin America, Africa and Asia. The event will be an afternoon where the different communities will present samples of traditional dishes. This initiative aims to create a greater awareness of the positive work that members of these communities have been carrying out, as well as to create opportunities to continue to promoting cultural diversity and awareness of the different communities that make London. This event is the culmination of hard work and lobbying carried out in the past couple of years by several community groups and individuals. The reception is being organised because there is a need to understand the different communities. 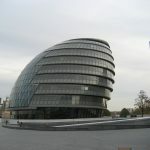 The Greater London Authority is very familiar with the Portuguese Community in London, however there is a wider group that make up the Portuguese Speaking Community of which they do not know much. Although all the Portuguese speakers have the language in common, there are cultural and traditional differences that make each of these communities unique.